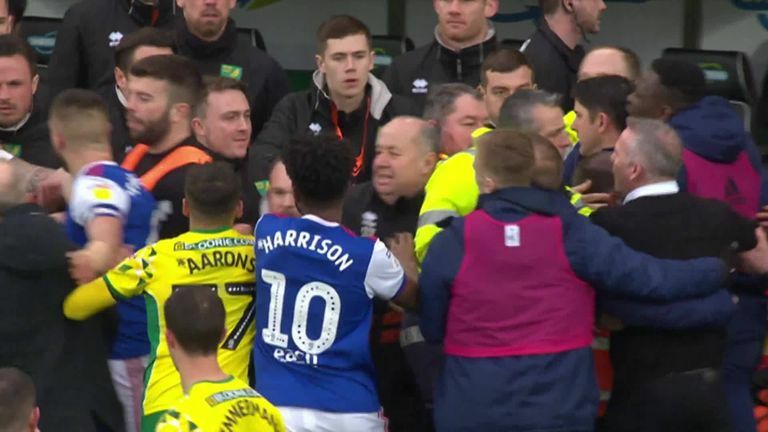 Ipswich will complain to the Football Association over the way a Norwich City steward treated manager Paul Lambert on Sunday, Sky Sports News understands. Lambert was sent off, along with Norwich head of performance Chris Domogalla, after an incident seconds before half-time in a fiery East Anglian derby at Carrow Road. A melee involving a number of players and the two teams' coaching staff was sparked by a late challenge from Ipswich midfielder Jon Nolan. The Ipswich complaint will allege FA that a home steward physically pushed Lambert backwards as officials moved in to try and break up the confrontation. Lambert was asked about the incident at his Tuesday press conference, when he said: "It was a lack of class on their behalf; I've never been involved in anything like that at all. "Some of the things that were said were totally out of order, and I'll fight the corner of this football club. "There were things that shouldn't have happened, not through our doing. We played a really good game without getting the reward, and that's been the story of our time here. Regarding what I saw and what I've heard, I won't let this club be bullied by anyone." 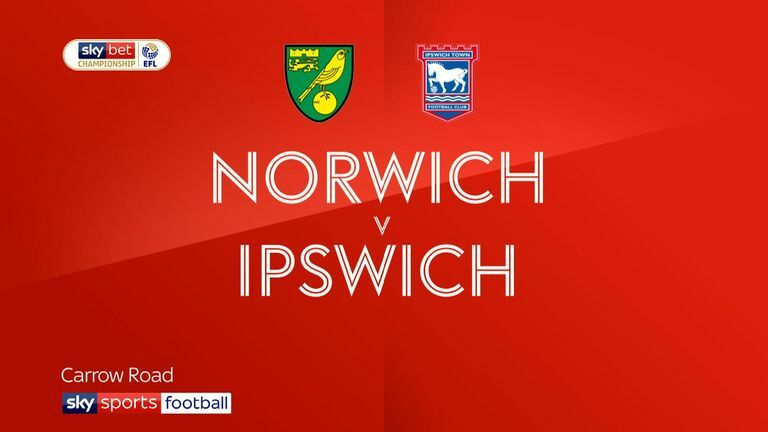 Sky Sports News has been informed that Ipswich also feel the wrong Norwich coach was sent off amid accusations that Canaries goalkeeping coach Ed Wootten challenged Lambert to a fight. The FA is expected to inform both clubs later on Tuesday of possible charges for breaching their discipline rules. Norwich moved back to the top of the Sky Bet Championship table thanks to the win, which came courtesy of an early goal from Onel Hernandez and two second half Teemu Pukki strikes. Ipswich remain rooted to the bottom of the table, some nine points adrift of safety with 15 games remaining.